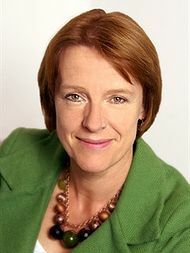 On 28th October 2015 the Second Church Estates Commissioner, Rt Hon Caroline Spelman MP, answered a written question from Gareth Thomas, MP for Harrow West, on the church’s work in promoting credit unions. Gareth Thomas: To ask the right hon. Member for Meriden, representing the Church Commissioners, what steps the Church Commissioners are taking to promote the use of credit unions in the work of the Church of England; and if she will make a statement. Mrs Caroline Spelman: The Church of England’s work in support of credit unions has been led by the Archbishop of Canterbury’s Task Group on Responsible Credit and Savings, chaired by Sir Hector Sants. Nationally, the Task Group has developed a number of strategic, church-led initiatives, including matching the resources of local churches with the diverse needs of local credit unions through the Church Credit Champions Network. To date, the pilot scheme has engaged over 200 churches, trained 150 Credit Champions and is on target to bring in 3,000+ new credit union members across London, Southwark and Liverpool dioceses, with plans to roll out to 30 more dioceses from next year. The Church of England is also running the ‘LifeSavers’ programme which is piloting a holistic financial education programme linked to savings clubs in primary schools. This was trialled successfully in Church of England primary schools during 2015 and will be rolled out to a further 120 church and community schools from early 2016, helping to raise the profile of credit unions in these communities. Locally, dioceses and churches are involved in a wide range of activities in support of credit unions, from running mass sign-ups and marketing campaigns and recruiting volunteers to the board of credit unions to hosting access points in church building and promoting payroll saving through links with local employers.